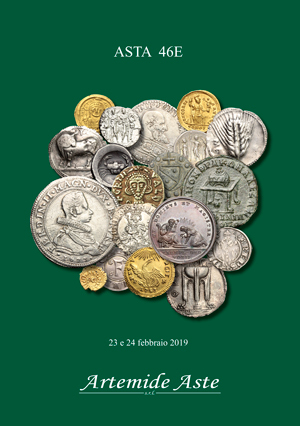 Coins 45 Greek Italy. Southern Apulia, Tarentum. 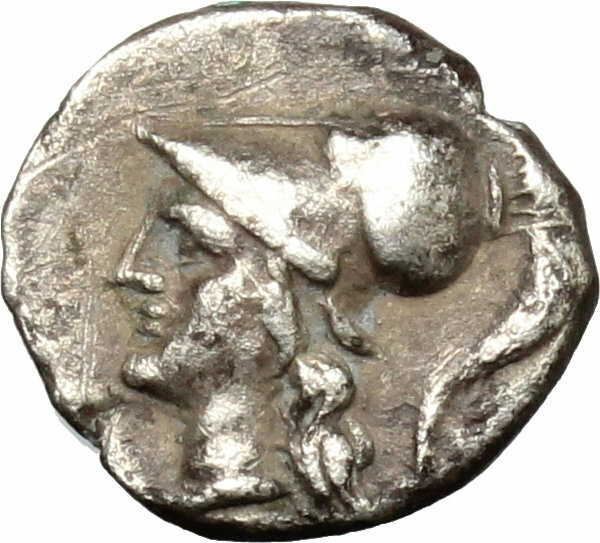 AR Diobol, c. 272-228 BC. D/ Head of Athena left, wearing crested Corinthian helmet. 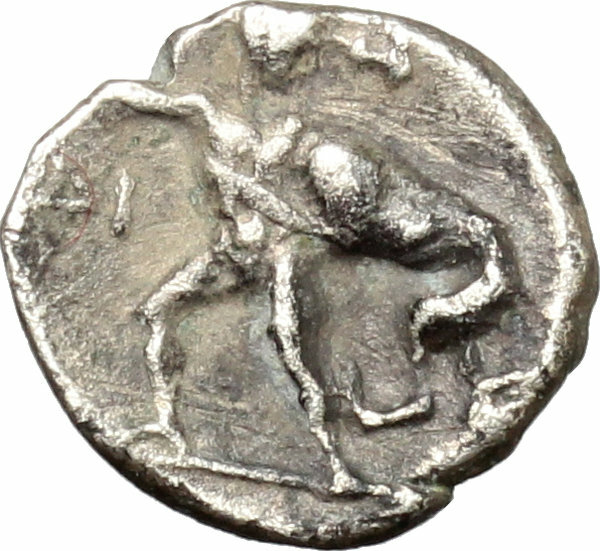 R/ Herakles standing facing, head right, fighting the Nemean lion; club raised overhead about to strike lion; in left field, ΔI. HN Italy-. Vlasto 1414. AR. g. 0.99 mm. 11.00 Rare. A very attractive example, perfectly centred and prettily toned. Good VF.